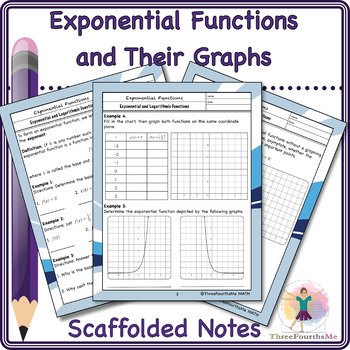 These scaffolded notes define, give examples, and classwork for exponential functions and their graphs. The preview contains all student pages and one teacher page for your perusal. I hope you are able to use this product for the betterment of your students and it makes your life easier.